Grant Leadbitter in action against Oxford United. Sunderland AFC fans were left frustrated after the Black Cats dropped two points at Oxford United. Amm tweeted: "Can’t keep saying it’s “a good point” we’re not creating enough! 1 shot on target today whilst Luton and Barnsley are scoring 3 and 4 goals. #safc"
Jordan Ramsey @RamseySAFC tweeted: "Only Leadbitter and McLaughlin would get more than a 5 for me. The rest were abysmal. 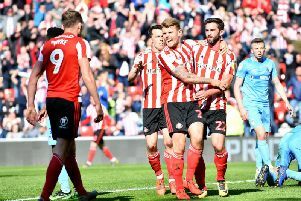 #safc"
Chris SaFc @DeFostaManChris posted: "We have been accepting of too many poor results, thats why more and more people are getting worried and are losing patience. Draws wont get us top 2 #safc"
Read more: Click here for our FT report from the Kassam Stadium. Dan Harrison @DJ_Haribo tweeted: "Don’t like to criticise Ross cos he has done a good job since he come in, but that result was really down to him. We should be burying these teams, I’m not a Honeyman fan but surely he had his worst game for us but somehow lasted 90 mins ahead of McGeady and Grigg? #safc"
Stephen Elliott @SleevesElliott posted: "Luke O Nien got be wondering what he has done wrong. Is he an easy option to leave out as he seems like a nice happy guy. If I was him I would be banging door down to play. Is that in his nature? Been best player for weeks then gets dropped for last two games! #safc"
Daniel Jenks @DanielJenks89 tweeted: "When will Ross see that Power has been poor these last couple of months? O’Nien should have started today. #SAFC"
Monkey Meat @GaryMesser79 posted: "Fans will say it’s because we didn’t kill them off...... let’s be honest, we didn’t deserve too! #safc"
Ross @19Ross86 added: "Power has offered nowt for a while now. 1 up front isn’t working. Defence are making too many mistakes. Big changes needed for next 3 #SAFC"
Richard Shaw @richardshaw86 tweeted: "Yeah it’s disappointing drawing but calm down. Promotion is the target, therefore top two in the league. With games in hand we can achieve this. Let’s accept the result and move on. #safc"
Steven Fairless @StevieJ73 posted: "Changes needed for Tuesday night, it’s been disappointing for weeks now. Another two points dropped. On the positive side though, win our games in hand, starting Tuesday, and we go second. 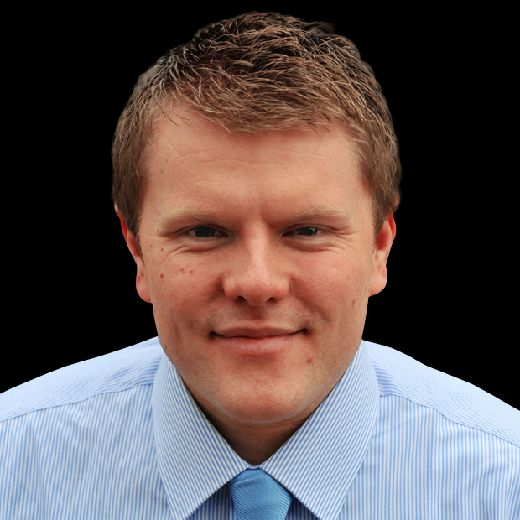 #SAFC"
Michael hall @Mikey_Hall91 tweeted: "Lucky to get a point out of that by the end, Oxford by far the better team #SAFC"
Peter Burton @ThePeterBurton posted: "There's a danger that we over analyse every performance which spreads discontent and encourages the bed wetters to create a situation which doesn't exist. #SAFC"
Jordan Maloy @MaloyJordan tweeted: "Said it a few weeks ago , too many draws are gonna cost us promotion. Five 1-1 draws from out last seven games #SAFC"